The Derek Rose 2 Pack Boxed Handkerchiefs are made from 100% pure cotton and have a supersoft finish. 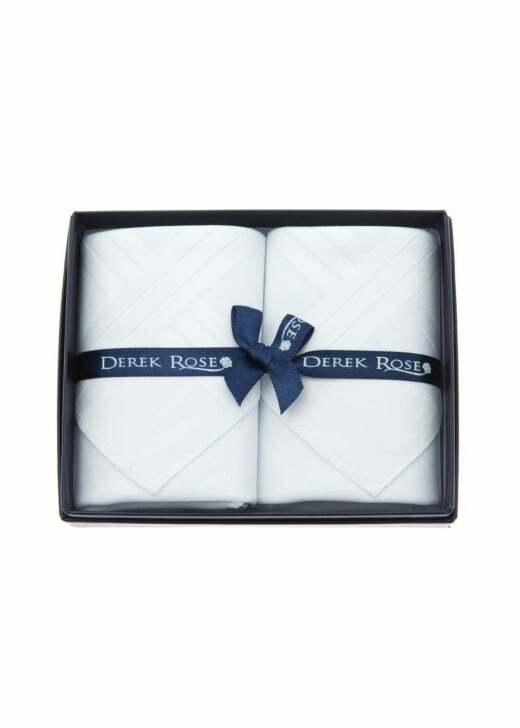 The Derek Rose 2 Pack Boxed Handkerchiefs are made from 100% pure cotton and have a supersoft finish. Finished in wonderful gift packaging with the Derek Rose ribbon, these men's handkerchiefs make the ideal gift. Showing our 2 Derek Rose 2 Pack Boxed Handkerchiefs reviews with an average rating of Excellent. Derek Rose make very good quality items and these met that expectation.